For the first time in my married life of 13 years, our kitchen sink became clogged. My wife stuck her hand down the drain and pulled out some remnants of a paper towel and some wrappers. “Who the heck did that? !” I asked the kids. Of course… no one did it. If you’ve got kids, then you know how that goes. I don’t know if that’s what caused the blockage, but no matter what we did… that thing was staying clogged. I tried all of my amateur plumbing skills in order to get the sink unclogged. Calling a plumber or an HVAC technician is the last thing anyone wants to do. It’s sort of like needing to take your car into the dealership. It’s probably even on par with going to the dentist. I think there’s a couple related reasons for the universal disillusionment with the home services industry. The first reason, I believe, is that many people don’t give plumbers and HVAC technicians enough credit. They take for granted how important a heated house is during the winter, an air-conditioned house during the summer, and the blessing of running water all year round. Few people have yet to endure the pain of a cold shower during mid-February. Many of these people who take the home services industry for granted will easily go drop $200 bucks in 45 minutes on a Friday night dinner but then lose their mind over a $200 dollar invoice from a plumber who hasn’t needed to come out in the last 4 years. I think we just expect our home services to work, and when they don’t we’re shocked and dismayed. The second reason is because of an accumulated general distrust of the industry as a whole. It’s hard to know whether or not you’ve called a trustworthy service provider. 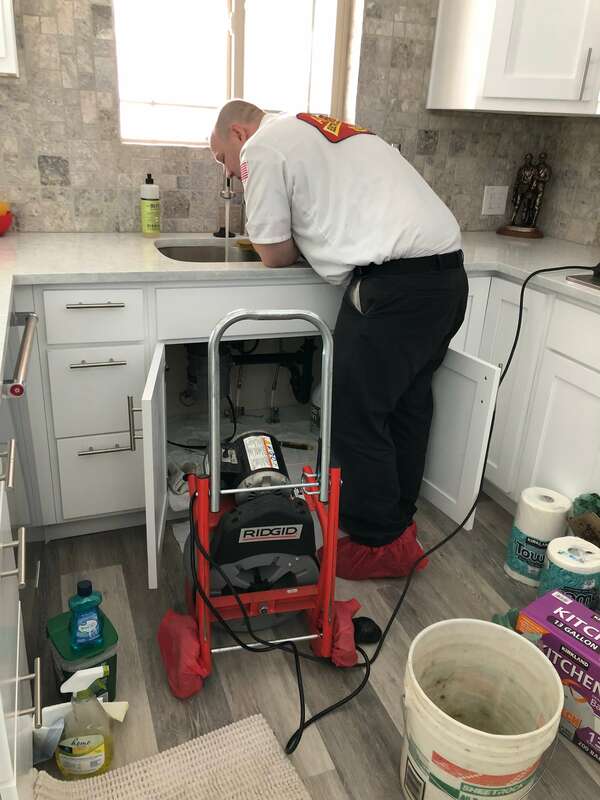 We fear getting ripped off and have no idea whether or not the plumber could fix the water heater with a $15 dollar part or if that same water heater truly needed to be replaced for $3,000. It’s not fair to the good home services companies out there that a few bad actors are able to cast such a shadow over the industry. And cast a shadow they do. A big one. I’ll never forget when my parents called a HVAC company out to take a look at their fairly new Air Conditioner in a sweltering July heatwave. A technician came out, took a look, and gave a bid for about $1,000 bucks. I asked one of my HVAC friends to run by and take a look just to get a second opinion. He sent me a picture of the unit, and the $52 dollar part that needed to be replaced. My friend fixed the unit, and it’s worked ever since. So what do you do if you don’t have a close friend to give you a second opinion? Well that’s exactly what happened to me when our drain clogged. 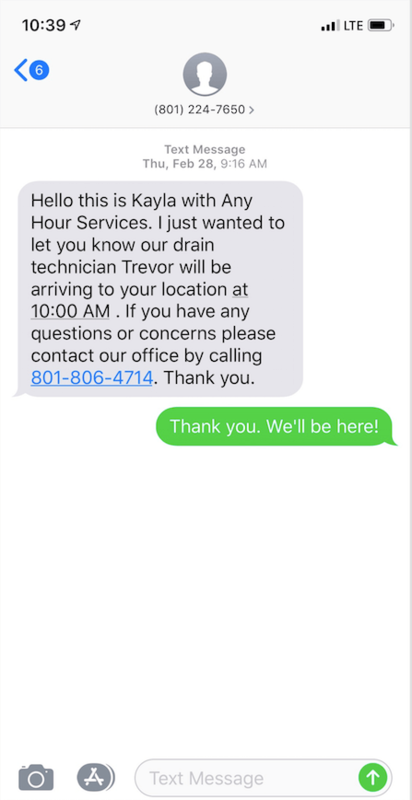 And at this point, I’m glad the drain clogged because I was able to observe and learn from one of the most effective home services interactions I had ever experienced. I decided that I needed some help. My plumbing skills were exhausted and I didn’t have a friend to take a look. So the best thing you can do is look for “friends” and “peers” online who have had an experience with local home services companies. So I did a Google search and looked for companies with stellar reviews. It’s really hard for home services companies to achieve and maintain high ratings online. But I found a company by the name of Any Hour Home Services. They had 5,311 reviews on Google. It’s one thing to have a lot of reviews. It’s quite another to have a 4.8 average out of 5,000+ reviews. Nice job @Podium and nice job @Anyhour. 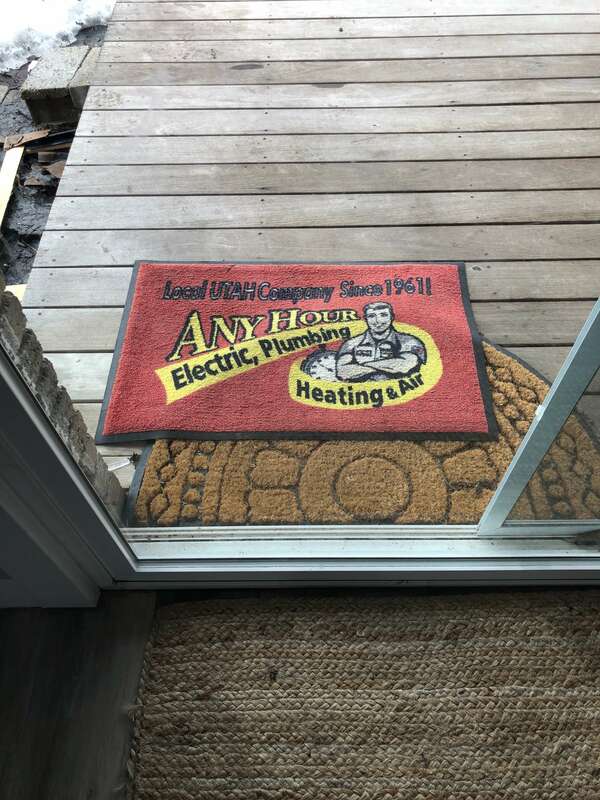 Any company who is that committed to its reputation is probably going to give people like me their best shot at an honest and competent plumbing fix. So I called them up and they were available to come right when I needed them. They hit their time window and communicated consistently up until the arrival time. It’s always interesting when I get to interact with home services technicians because of my background. 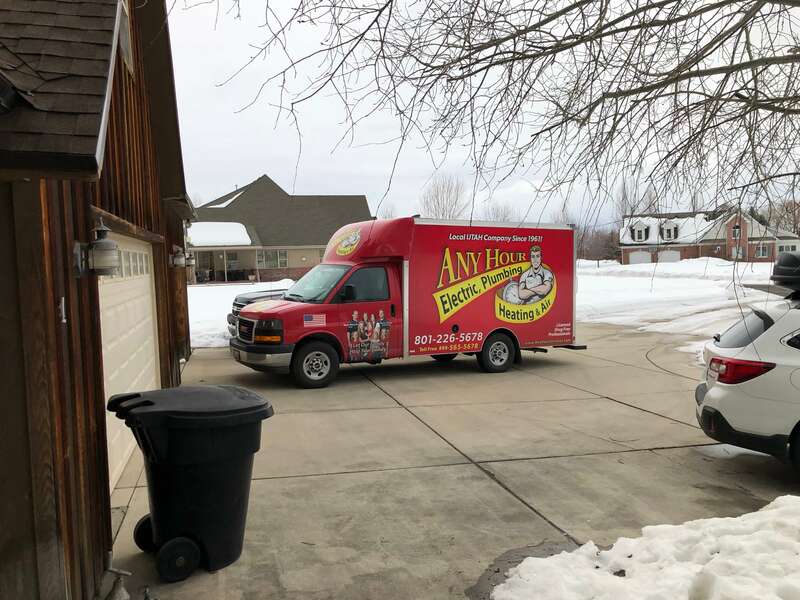 I’ve dealt with some of the largest home services companies in the country from a marketing perspective and overseen the management of millions of advertising dollars per year. My company is usually in the background for these types of home services companies, getting people like me to find them online, maintaining their online reputation, and improving their web presence along with other forms of home services marketing. When I’m on the other side of the equation… and now I’m the customer, I always try to pay special attention to how the technicians exemplify the core values of that company and how well their service aligns with the company’s marketing goals. I’ve always believed that it’s the technicians who are the most important marketers, salespeople, and brand reps for home services companies. If those technicians aren’t legit, then there’s nothing that even the greatest marketing company in the world can do to ensure the perpetuity of that company. Having all of that in mind, I eagerly awaited the arrival of my technician. 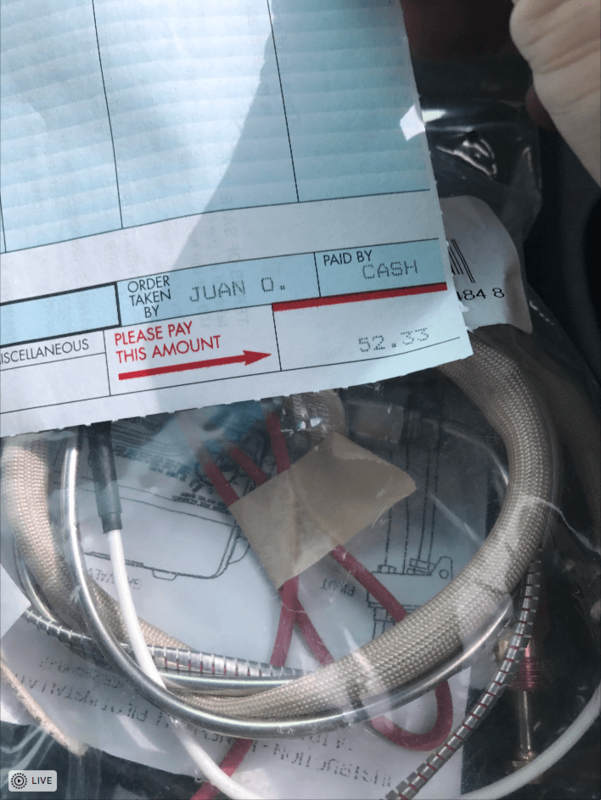 When the technician showed up, he was kind and courteous about where to park in order to make sure not to inconvenience anyone. When he got out of the truck, he rolled out the red carpet… literally. He had this mat in hand and a pair of booties in order to make sure he was keeping my floors nice and clean. The technician introduced himself and said his name was Trevor. His uniform was clean and he was friendly. If you’ve dealt with plumbers in the past, you know that this isn’t always the case. Trevor listened intently as I told him about the problem with the sink. He went through all the due diligence in order to make sure and do a complete job. Then he gave me the options that they had with the associated pricing for what he was about to do. There was no hard selling, no cajoling, no pressure. I felt like he genuinely wanted to help. So I picked my service option and Trevor began right away. But what was even more impressive was how he talked about his company. I often come in contact with people who aren’t shy about bashing the company that they work for or the boss who manages them. As I sat there with him while he worked on our sink, he talked me through what he was doing, educating me all along the way. But interspersed with the education, was his glowing review of his own company. The company he worked for as a plumber. He told me about the owner of the company who hired him and how much he looked up to him. He talked about how he got hired and what it was that endeared him to the company. He described his interview with the founder and described my exact philosophy for hiring and building a good company culture. And it’s good people, friendly people, honest people who build the right culture for a company and gain raving fans. He talked further about the philosophy of their company. He talked about how they’re taught to take care of the customer first. To be honest, to give them good work at a fair price, and to educate the customer. He talked about how the company was part of the Nextsar Network, an organization that helps to coach organizations like Any Hour. He went on and on about how grateful he was to be a part of such a company. I could tell that he didn’t have some kind of rehearsed language as he was talking to me about the company. It was something that was genuine. When everything was said and done, Trevor fixed the issue quickly and efficiently. He cleaned up and I got ready to pay. I was surprised at the amount that I paid. I felt like it wasn’t even enough to cover the cost of the gas and the truck to get out to my house. I’m almost certain that Any Hour lost money on me that day. But I’m also certain that they will make it back up on me at a future date. And that is the key. Think of the longevity of the company. Not just how much you can make today. When my water heater breaks or my furnace goes out, or my house needs to be repiped… without hesitation, I’ll call these guys. Not just because they did a great job on the problem I had. But because Trevor gave me a glimpse into the culture and philosophy of that company. I became a customer for life. No more advertising costs of acquisition for this customer. I also blogged about them. And will refer them to friends. A company who is willing to invest a little in their customers, who is willing to take a loss sometimes in order to gain customer loyalty, and who does a good job regardless of the current margin is the company that can persist through economic ups and downs. They’re the ones that win in the end. And as a side note. I spent my own time writing this blog about Any Hour. They didn’t pay me or ask me to do so. I was just so impressed with the business aspect of their company that I had to post it here so that our other home services companies can learn from this as well.